Today’s installment will wind up the Jerry-Zeis-Science-Guy portion of this series in which Jerry made the case for a ‘young earth’. Next week we’ll resume with our regularly scheduled programming. We are coming to a close of our look at the age of the Earth. From the very beginning, the goal was not to convince you of a young earth, but to question the facts. Do the facts add up to make logical assumptions? I wanted to point out how a world view can cloud judgment. 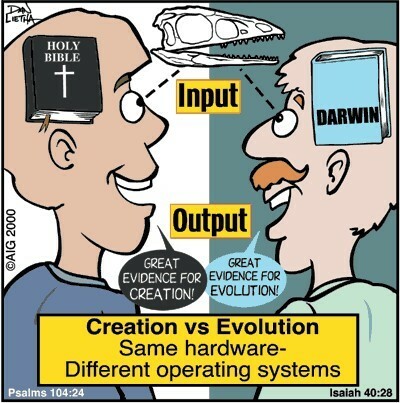 Evolutionary science is not science. The big bang is not (at least currently) science. There is no way to travel in time and make direct observations. If the observations cannot be made, then assumptions have to be put in place. Effort is put in to reduce or eliminate error, but worldview will influence you more than you think. The ideas that we mentioned that stated that the universe could actually support the bible are not the only ones possible1. There are literally hundreds more. Helium is a gas that when it is released in the atmosphere, will float up to outer space overcoming gravity. If we know how much comes out of the ground each year and how much goes into space, then we know what should be in the air. Spoiler alert – it adds up to 6,000 years’ worth of helium. Another example is how much salt is in the ocean. If you can add up how salty each river is as it empties into the ocean, add in how much salt leaves the ocean each year, in theory you should be able to tell when there was no salt in the ocean, or when the oceans formed. Again, it is not 4 billion years. How about why galaxies don’t spin apart? This cartoon sums it up pretty well.